I was assigned to clear out a bunch of old paper from the lab, including some of my advisor’s teaching notes from the late 90s. 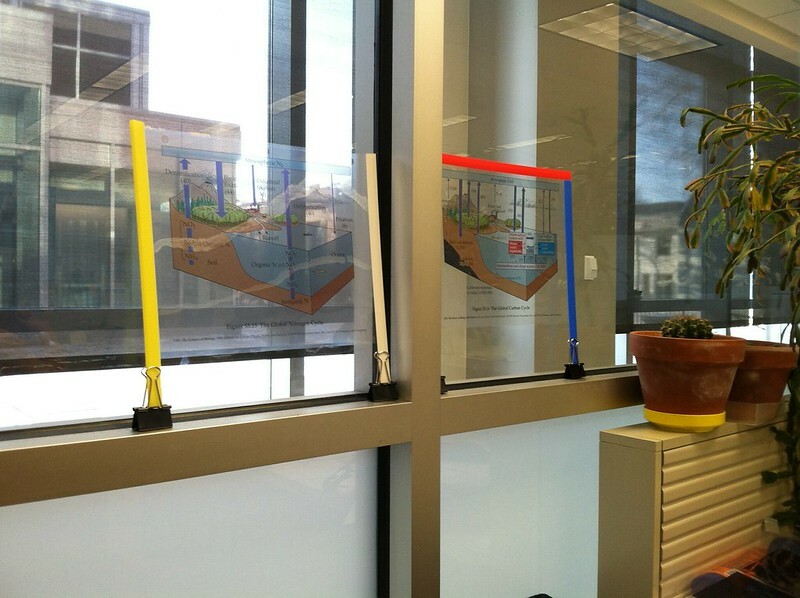 I couldn’t resist decorating my window with these transparencies of the carbon and nitrogen cycles, but the building administrators really don’t like tape on the windows, so I got creative with the other contents of the file drawer. TomorrowSoon: Photos of mid-80s scientific equipment catalogs. This entry was posted in Uncategorized on 2014-03-13 by bodger.